Sacrosanct overhauls vampires and vampire lords. Reverse progression (stronger when fed), new abilities, powers, perks, hemomancy, various new progression systems and many gameplay tweaks for the discerning undead monster. Rise Again - Patching EnaiRim and Death Alternative Required for Main File and Sacrosanct file only. This update fixes the most commonly reported bugs and balance issues. - Renamed ranks to Fledgeling > Blooded > Mistwalker > Nightstalker > Nightlord > Nightmaster for lore friendliness. - Fortitude: Is now correctly removed from your character when you become cured; added priority feature so if you are using the latest versions of Summermyst and Andromeda, the lowest cost rez effect is activated first. - Masquerade: Fixed bug causing people to aggro after you shift from Vampire Lord back to blood starved vampire. - Misfortune: Increased cooldown after a target trips from 10 -> 30 seconds. - Moonlit Waters: Is now briefly removed from your character when hunger stage changes as a workaround for the condition bug. 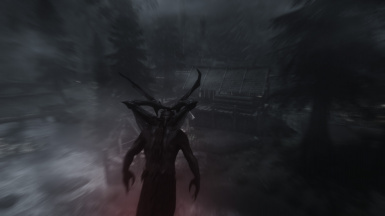 - Trespassing Curse: Is now briefly removed from your character when hunger stage changes as a workaround for the condition bug; the magic effect is now hidden when you are not trespassing. - Vicissitude: Reduced Hemomancy bonus from 50% -> 25%. - Wassail: Is now correctly removed from your character when you become cured; updated description. - Several spells no longer erroneously use a very bright casting light. - Blood Ankh: Explosion no longer hits the caster. - Blood Garden: Explosion no longer hits the caster. - Blood Scourge: Area effect spread no longer hits the caster. - Borrowed Time: Damage over time component is now affected by magic resistance; dual casting is no longer erroneously disabled. - Starving Artist: Now correctly applies to Borrowed Time. - Two unused perks (Defy the Sun, Rule Through Fear) now have valid quest stages, preventing a useless warning when checking the mod for errors. 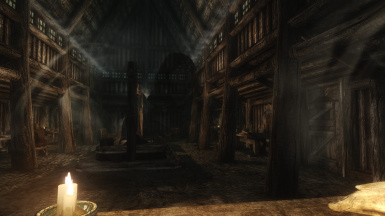 Note: Other mods that modify the VampireQuestScript (including many Sacrosanct compatibility patches) will need an update to include the condition bug workarounds. If they are not updated, the above workaround will not work. - Is now officially called "ranks" instead of "age" (some rocket brain decided age as a mechanic didn't make sense and therefore I was "retarded" even though it is literally in Vampire: The Masquerade. ¯\_(ツ)_/¯). - Mytherceria: implemented workaround for Skyrim script bug that would cause it to randomly disappear on feeding. - Sense Vitae: no longer erroneously works on corpses. - Summon to Molag's Court: now also counts as a Calm effect. - Vicissitude: reward description is now correct. - Wassail: now correctly ends when leaving combat while Sated; removed HelpMessage. - Vampiric Drain: damage is now correct at thirst stage 2. - Blood Scourge: to fix a rare crash, the explosion no longer reapplies the damage to targets that are already affected; removed annoying visual effect. - Masquerade: now immediately removes aggro, not just the next time you become Blood Starved. - Renamed the Sanguinare Vampiris ability that keeps track of thirst -> Vampire. - Fixed Vampire not being removed when cured. - Now always heals 100 points when reverting to mortal form so you (hopefully) don't instantly die. - Conjure Gargoyle: no longer affected by spell absorb on self; NPC version now summons the correct gargoyle. - Embrace the Beast: fixed description to reflect that it buffs Flaywind. - Foster Childe: no longer forces a race change, but just changes the target's eyes; visual effects are no longer lost when the target actor's 3D is reloaded. - Preparations for Hunter Hunted to be added in 6.00. The past days have been a flurry of iterations, but I'm fairly happy with this one. It's 5.04 but with starved powers again. - Added King Among Kine. - Eyes of the Predator: now drains a flat 10 hp/sec regardless of difficulty level. Also, there were too many 1/day powers with dubious usefulness cluttering up the powers list, and the fact that they could be reset by feeding and cauldroning yourself back down was the final nail in their coffin. These changes take effect the next time you feed. - Swapped Fortitude and Presence: Presence is now available from stage 1-3 and Fortitude is now available on stage 1 only. - Swapped Blood Cauldron and Vampire's Command: Vampire's Command is now available from stage 1-3 and Blood Cauldron is now available on stage 1 only. - Vampire's Seduction is now available at all hunger stages. - Moved Obfuscate to Age rewards as Lamae's Shroud. - Removed King Among Kine. - Summon to Molag's Court: Feeding now resets the cooldown. - Embrace the Beast: no longer says it affects Flaywind. - Foster Childe: fixed script error that prevented it from turning the target into a VampireRace. This is the Final Death of the somewhat misunderstood charming-vampire-to-feral-vampire progression (due to the large number of people who interpreted this as "you get stronger as you starve" and requested reverse progression) but a starving vampire build is still viable with abilities such as Dance with the Beast and the Embrace the Beast perk. I intend to continue to support the feral playstyle going forward. Flaywind will be reimplemented as part of the Hunter Hunted update as a powerful Hemomancy spell for starved vampires. Another minor update following the very large update 5.00. If you are updating from 4.03 or earlier and don't know what's in 5.00 or how to update, please consult the changelog on the Nexus (under "logs"). One issue that may lead to the frequent complaints about "no reverse progression" is that Obfuscate is 1/day and changes into Nightwalk which is at will. At will powers are much more popular than 1/day ones, so this can feel like you're going from not having a power to having a power. I swapped them. - Swapped Nightwalk <-> Obfuscate. - Nightwalk: increased duration from 15 -> 20 seconds; now shuts down regeneration while active. - Flaywind: increased Health absorb per second from 15 -> 20. Updating Sacrosanct is hard because of the large number of scripts that are not automatically included by the archiver tool. 5.00 had a missing script, and 5.01 could not be downloaded from the Nexus for a long while. So here's 5.02 with a fix for the missing script issue (and a minor tweak). - Flaywind: increased Health absorb per second from 10 -> 15. Unfortunately, the release of 5.00 and Aged Like Wine was overshadowed by yet another number of complaints about "no reverse progression". Since these complaints seem to focus on the fact that starving swaps out powers with new powers that are not obviously worse (in addition to all the penalties you get, which usually gets disregarded in these discussions) I updated them to make sure that your power set when fed is clearly superior. - Flaywind: reduced duration from 30 -> 15 seconds. - Nightwalk: reduced duration from 30 -> 15 seconds. - Obfuscate: increased duration from 20 -> 60 seconds. = Vampire's Command: increased duration from 30 -> 60 seconds. The Aged Like Wine update: a major upgrade that adds aging, overhauls the powers and abilities, and adds more consequences. While every effort was made and functionality implemented to make upgrading painless, issues might occur upon upgrading. Keep a backup. This update prioritises getting the new core mechanics into the hands of players as fast as possible. Some planned features that do not tie into those mechanics (notably "The hunter hunted") are not yet implemented and will be added in a future update, though the assets are already in place. Many unused records are scattered around; these will also be cleaned up later. 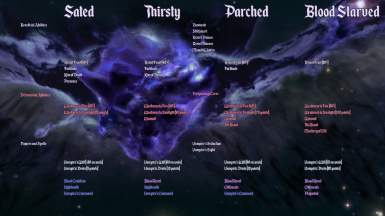 - For consistency's sake, hunger is now called "thirst" (to avoid overlap with Survival Mode) and the thirst stages have names: Sated, Thirsty, Parched, Blood Starved. A new mechanic and a twist on the age/rank mechanic in other vampire overhauls. Being a vampire for a prolonged period of time advances your vampire rank and grants bonuses. This effect is not directly tied to "Days as a Vampire" and is modified by various acts such as feeding and draining. Feed to apply these changes. - Added Fortitude at stages 1-2-3. - Added Wassail at stages 2-3-4. - Resist Toxins has been removed and replaced with vanilla Resist Poison and Resist Disease, ensuring compatibility with CACO. - You now keep Sanguinare Vampiris as a vampire. It tells you which thirst stage you are in, as well as your rank progression. - Moonlit Waters: Now reset each time you feed. This serves as a workaround for the ability condition bug in Skyrim. - Kiss of Death: updated description. - Renamed Wassail -> Potence. - Eyes of the Moon: Increased magnitude bonus to Vampire's Seduction from 30 -> 50 levels. - Updated Blue Blood feed message. - Now correctly classified as a vampire quest. - Renamed Tainted Bloodline -> Whore of Morrowind. - Added three new Hemomancy spells. If you already have Hemomancy spells, they will be replaced with the spells that now sit in the same spot in the progression list. - A HelpMessage now explains hemomancy when you Drain a victim for the first time. - Bitter Sap: now also comes with -100% poison resistance to make it actually useful. - The Fortify Health effect is now added before Weakness to Sunlight and removed after it, reducing the likelihood of an unexpected death at low Health. - Dragon at Midnight: updated description. - Embrace the Beast: updated description. - White Wolf: updated description. - If the target is essential, the Drain option is no longer hidden but instead fails and explains why. There is also a HelpMessage for those who don't read notifications. - Hunger check now occurs every 6 -> 3 hours, but there's now some randomness involved in dropping down to the next hunger stage. - A HelpMessage is displayed the first time you become hungry. - Updated vampire feed notification. - Updated invalid script notification. There is a large number of users who put Better Vampires and the patch on top of Sacrosanct, either don't know or don't care that this removes most Sacrosanct features and breaks the rest, and complained about the "error in Sacrosanct". The new error message should make it more obvious that it is someone else's problem. - Added option: Age Speed. - Added option: Fortitude: Disable. - Added option: Kiss of Death: Applies to Potions of Blood. Type "setstage ski_configmanagerinstance 1" to reset your MCM. - Blue Blood: the quest now gives each of its targets a debuff that makes Vampire's Seduction work on them regardless of level. Note: the expanded MCM (and configuration power) will come in the next major update. As of now, there aren't enough entry points to make it worth it. Most people seem to want a configuration power to opt out of penalties, and I'm not actually sure offering people an easy way to do so before they even start playing is beneficial, for the same reason a power that asks you "do you want to receive 500000 gold" would be a bad idea. Vampirism is supposed to be a curse until you master it, and having to keep yourself fed OR ELSE is part of that curse, as opposed to prancing around like Edward Cullen with all the sparkles and none of the ugly stuff. Until I figure this out, type set SCS_Mechanics_Global_DisableSunDamage to 1 or set SCS_Mechanics_Global_DisableHate to 1 (the latter only kicks in after you feed). - Elixir of Embracing no longer works if you are disease immune (read: a werewolf). - The invalid script error message now gives the correct names of the scripts. - Fixed issue that could prevent Draining in some scenarios. The second half of the major update. Ideally, use player.setrace [Racename]Race before upgrading, then player.setrace [Racename]RaceVampire after upgrading. If you are not yet a vampire, don't worry. Also, make sure you are not at hunger stage 4 (don't have Mockery of Life). - No longer erroneously able to feed on ghosts. - Frost spells and effects are now 20% stronger, while fire spells and effects are 20% weaker. - The Beast: updated description. - Mockery of Life: now also prevents Health regeneration, ensuring life steal is the ONLY way to heal at hunger stage 4 (aside from feeding). A bonus to jump height has been requested a few times, but requires SKSE. With most SSE users being on consoles, this is not an option. Vampire Lord is immune to fall damage and can glide with Wings of the Strix. I tested a "stage 5" that would slowly deal damage, but dropped it because players could get stuck in an unwinnable state (Seduction on cooldown and none of the alternate feeding perks unlocked) or at least be forced to abandon ship and run to civilisation. In the end, if you want to play a blood starved "ghoul" build with Embrace the Beast and lifesteal, you should be able to, and not be punished for it. - The basic spells (Vampiric Drain, Vampire's Will) are no longer removed from your favourites when your hunger stage changes. - Embrace the Beast: now also includes 25% bonus attack damage; parity update to match the basic vampire spell update. - Blood Knight: now allows combat feeding regardless of equippd weapons. - Daywalker: fixed minor issue. - Tooth and Claw: updated description. - Wassail: changed attack damage bonus from 10-40% based on starvation -> 15% (or 30% at stage 1). - Transforming into a Vampire Lord or progressing to another hunger stage now heals 100 points, preventing instant death due to sun damage in some scenarios. - Hunger now checks every 6 hours instead of every 12 hours, improving accuracy. - The error message when calling VampireChange() with an unknown race now states that it is an error message. You may want to open the MCM, close it and wait for a bit to give SkyUI a chance to update it. - Added "Disable Elemental Affinity". - Added "Time Between Hunger Stages". - Added "Disable Blood-Starved Aggro". - Added "Disable The Hunter Hunted". - Added "Reverse Vampiric Drain Progression". - Added "Disable Weakness to Sunlight". - Removed redundant "Janky Feed". Note: While Better Vampires offers more customisation options, Sacrosanct vampires are meant to have a lower power level until Vampire Lord. Vampirism is not the X-gene, it is supposed to be a curse, and I believe mechanics are a better way to communicate this than just giving the player a large number of spells. - Night of the Wolf: now also enables sneak feeding. - Added scripts that were missing in 3.00. - After your first feeding, you gain the "Blue Blood" quest. It enables you to gain 7 unholy abilities by feeding on marked targets: Wassail, Blood Knight, Eyes of the Moon, Tooth and Claw, Night of the Wolf, Vicissitude, Daywalker. - Blood Brand: DoT is now correctly affected by Starving Artist and Make Them Beautiful. - Profaned Sun: reduced damage per second from 50 -> 40 and slightly increased cost. - Blood Bond: now also correctly modifies relationship rank so the NPC wants to marry or follow you; updated description. - White Wolf: improved level bonus to Vampire's Seduction from 15 -> 30. - Fixed maximum number of perks being off by one. - Feeding on Dexion is now always possible regardless of hunger stage ("Enthrall"). - Refactored feed script, moving all duplicate code into a separate quest for easier maintainability. - Now performs a check when installed or updated to 3.00 and throws a warning if the vampire quest scripts have been overridden. Next update will add a lot more MCM options. - Curtain Call: no longer has a race condition that results in it blocking itself. - Added a small MCM that will be expanded in future updates. - Will now give you the Vampire Feed perk using a quest, ensuring it will be applied even if it can't update an ability. - Added entry point for potential Kiss of Death/The Beast on Potions of Blood. - The Beast: no longer reduces your stats, it merely doesn't increase them. - Vampire's Command: regenerated scripts to try and fix the game ignoring them; "Die" now contains a failsafe that kills the target if the animation fails. - Vampire's Sight: duration is now unlimited. - Vampiric Drain: now grants Destruction experience. - Stagger Attack now only applies to power attacks. - Raze: changed Damage Health component from 50-150 -> 60-100 (75-125 for Blood Storm). - Blood Storm: now also updates your current levelled spell when the perk is taken, so it doesn't revert to Raze after landing until you leave Vampire Lord form; carried over Raze changes; now scales with character level (after you first lose the spell). - Dragon at Midnight: now also grants a royal cape. - Blood Ankh: now reenables AI after disintegrating the target. - Curtain Call: now correctly granted when you take the perk. - Dolmen Haunt: added missing conditions to prevent feeding on everything. /!\ After updating, please feed. - Reworked the distribution of powers, depending on your feed stage: you now have 3 powers per stage, but they change one by one as you go through the stages. - Reworked the scaling of abilities, depending on your feed stage. - Reverted intolerance mechanics to vanilla implementation (you still draw aggro at stage 4 and as a vampire lord, but this now uses vanilla scripted mechanics). - Added abilities Presence, Kiss of Death, The Beast, Mockery of Life. - Moonlit Waters: no longer activates while swimming. - Jeweled Scales: fixed missing script. - All powers are Novice spells in their respective schools. - Renamed Embrace of Shadows -> Obfuscate. - Vampire's Command is now a regular power. - Obfuscate: reduced duration from 60 -> 30 seconds. - Flaywind: now correctly flagged as a Destruction spell. - Lamae's Pyre: now looks a bit like balefire. - Vampire's Seduction: updated description; now correctly flagged as an Illusion spell. - Added Embrace the Beast. - Blood Storm: increased Magicka cost from 15 -> 20. - Dragon by Midnight: no longer kills you when you forsake vampirism. - Maelstrom: spell now preloads correctly; spell is no longer stuck in your hand if you land with it equipped. - Make Them Beautiful: no longer explodes essential actors. - Tremble: fixed power not being applied in some circumstances. - White Wolf: updated description to match the new reverse progression mechanics. - Gaining a new vampire lord perk point due to a vampire lord power bite now increases the number of blood points required for the next point by the correct amount. - No longer sends a transformation crime event when in DLC1VampireCastleLocation. - Spells are no longer removed when you turn into a Vampire Lord. - Blood Brand: now has the correct level. - Profaned Sun: fixed green sphere in Special Edition. - Vampiric Drain: now actually a novice spell instead of nothing. - Removed useless init script. 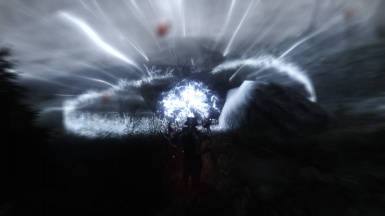 - Vampire's Sight compatibility with ENB/Predator Vision. - Test and potentially fix Curtain Call. - Fixed condition so aggro (stage 4/vampire lord) is now correctly turned off in DLC1VampireCastle locations. Improved vampire abilities, spells and powers. Become stronger by feeding victims to death (draining), by feeding on powerful individuals, or by gaining ranks. Improved vampire lord abilities, spells, powers and perks. Much more engaging vampire and vampire lord gameplay. Vampirism is not a blessing. Ancient vampires may be powerful and feared among the populace, but they start their unlife in a weakened state and must overcome hardships to attain the power they seek. 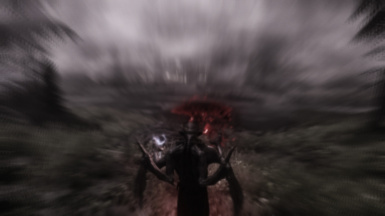 Molag Bal's presence gnawing at the sanity of every vampire is known as "the Beast", a primal force that possesses weakened vampires and drives them to ruin. It is important to stay well fed and healthy to avoid its temptations, lest you find yourself unable to heal or getting attacked by a mob of townsfolk. As a vampire, you must feed. Each day that goes by without feeding makes you thirstier and weaker. There are four stages of thirst and you progress to the next stage after at least 24 hours without feeding, though occasionally you may be able to delay the onset of thirst by a few hours. The Vampire ability in your magic effects menu tells you how thirsty you are. Feeding immediately returns you to Sated status no matter how thirsty you were before. To feed, activate a sleeping person or a person affected by the Vampire's Seduction power and choose "Feed". You may also choose to "Drain" a sleeping person, killing them instantly as you feed. Perks and abilities offer additional ways to feed, including sneak feeding, combat feeding, etc. Dominate: Illusion spells cast by a vampire are 25% more powerful and last 25% longer on creatures and people. Moonlit Waters: A vampire can swim underwater without drowning, and walk across the surface. Resist Disease: Your Vampiric blood gives you 100% resistance to disease. Resist Frost: Your Vampiric blood gives you 50 (Sated) to 20 (Blood Starved)% resistance to Frost. Resist Poison: Your Vampiric blood gives you 100% resistance to poison. Still Heart: A vampire is 25% harder to detect by creatures and people while sneaking. Trespassing Curse: When trespassing in someone else's home, lose 10 points of Magicka and Stamina per second. Weakness to Fire: Your Vampiric blood gives you 20 (Sated) to 50 (Blood Starved)% weakness to Fire. Weakness to Sunlight: Health, Magicka, and Stamina do not recover while in Sunlight and are reduced by 25 (Sated) to 100 (Blood Starved) points. Vampires also receive the following abilities depending on thirst. As you become thirstier, you lose beneficial abilities and gain detrimental abilities instead, representing Molag Bal's growing influence over you. Fortitude: Vampiric blood makes you hard to kill. Upon taking fatal damage, you come back to life, becoming thirstier. Wassail: The Beast awakens below 25% Health in combat, draining Health, Magicka and Stamina during combat and reducing them by 10 points until you feed. Kiss of Death: Draining a victim (killing them by feeding) permanently increases Health, Magicka and Stamina by 1. Presence: Your Vampiric charm makes intimidation attempts twice as likely to succeed, and buying items is 5% cheaper. Mockery of Life: Healing spells and effects no longer heal you. Potions of Blood have no effect. You don't regenerate Health. Each race has one additional racial vampire ability. Altmer - Wine and Revelry: Feeding increases Magicka by 50 points for 60 seconds (600 seconds if the victim is sleeping). Argonian - Jeweled Scales: Protected against Sunlight while swimming and for 180 seconds after leaving the water. 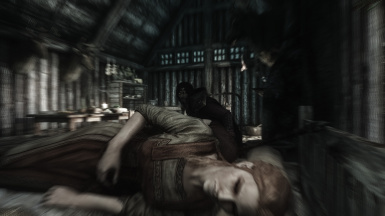 Bosmer - Bitter Sap: 100% weakness to poison. Consumed alchemy ingredients are reversed and 10 times stronger. Breton - Dolmen Haunt: Can feed by activating a Standing Stone. Dunmer - Tainted Blood: Feeding on people grants you their racial vampire ability. You can only have one at a time. Imperial - Cult of Shadows: Shrine blessings also increase Magicka and Stamina by 25 points, but their effects are reversed. Khajiit - Misfortune: You bring bad luck. In combat, your enemies within 50 feet have 5% chance per second to trip and fall. Nord - From Ancient Soil: Once per battle, you may activate a corpse to reanimate it. The corpse crumbles to dust when combat ends. Orc - Lavish Brutality: Feeding increases Stamina by 50 points for 60 seconds (600 seconds if the victim is sleeping). Redguard - Ruler of Locusts: Once per battle, activate an enemy humanoid to send insects that deal 5 poison damage for 60 seconds. Vampires receive the following spells and powers. Vampire's Seduction: 1/day - Silently bewitches a person up to level 10 for 30 seconds, calming them and allowing you to feed. Vampire's Sight: At will - Improved night vision. Cast again to disable. Vampire's Will: 1/day - Clouds a person's mind for 120 (Sated) to 15 (Blood Starved) seconds, ending combat and making them unlikely to detect you while sneaking. Vampiric Drain: Spell - Absorb 5 (Sated) to 20 (Blood Starved) points of Health per second from the target. Vampires also receive the following powers depending on thirst. As you become thirstier, your power set gradually shifts from vampiric charm to vampiric might as the Beast makes its presence known. Blood Cauldron: At will - Expend some of your Vampiric blood to replenish Health, Magicka and Stamina, becoming thirstier. Blood Revel: At will - In combat, gain 25% bonus attack damage and spell effectiveness for 120 seconds or until combat ends, but activate Wassail. Nightwalk: At will - Send forth a mist for 15 seconds. Use again to teleport to its location. Maximum range is 100 feet. Obfuscate: 1/day - Blend into your surroundings, gaining unbreakable invisibility for 60 seconds. Vampire's Command: At will - When talking to unoccupied people, adds new dialogue options that must be obeyed. Lasts 60 seconds. Flaywind: 1/day - Target person within 10 feet flees while vampire bats absorb 25 Health per second for 30 seconds. If the target dies, counts as feeding. All spells and powers belong to their respective spell school (Illusion for Vampire's Command, Restoration for Blood Cauldron, Conjuration for Nightwalk, etc.) and are affected by relevant perks. Vampires deal 20% more damage with frost spells and effects and 20% less damage with fire spells and effects. This can be disabled in the MCM. A fledgling vampire is a pathetic sight, while an elder nightmaster vampire is feared and respected. Progress to the next rank is based on time spent as a vampire, but you can also feed on a victim to age by one hour or drain a victim to age by one day. The Vampire ability in your magic effects menu displays your progress. An MCM option is available to change the rate at which you progress to the next rank. Fledgling: This is how you start your vampiric existence. Upon advancing to the next rank, you may choose an additional ability or power from a list of 13, including a variety of roleplaying and powergamer options. Blood Bond: Feeding on a sleeping victim makes them a lover, potential follower and marriage partner. Blood Knight: Able to feed on staggered enemies in combat for 50 points of Stamina. Cauldron of Fire: After using Blood Cauldron, deal double attack damage and take half attack damage for 30 seconds. Dance with the Beast: Attack damage dealt doubled and attack damage taken halved while affected by Wassail, until combat ends. Eyes of the Predator: At will - Spend Health to detect creatures and people within a 500 feet cone for 30 seconds. Cast again to disable. Harvest Moon: Draining a victim also generates a Potion of Blood. King Among Kine: You no longer lose any powers when feeding. Oberon's Grail: Reduces the chance to fall victim to Wassail in combat by 75%. Path of Humanity: Increased chance to delay the progression of Vampiric thirst. 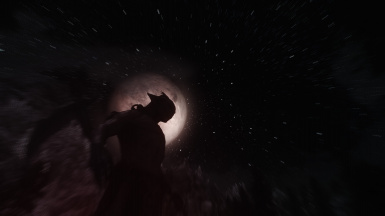 Night of the Wolf: Able to sneak feed on people who are not detecting you. Summon to Molag's Court: 1/day - Commands the nearest person within 150 feet to come to you for 120 seconds, allowing you to feed. Feeding resets the cooldown. Vicissitude: Hemomancy spells other than Blood Seed do 25% more damage to targets affected by Blood Seed. Wicked Wind: At will - Dash instantly to a target location within 15 feet. Where is the fun in preying on the weak? Feeding on some of the strongest individuals in Skyrim (Ulfric, Elenwen, etc.) grants up to 7 additional abilities. After your first feeding, you receive the Blue Blood quest, marking all targets with strong blood on the map. Abilities are unlocked in a fixed order as follows. Potence: Vampiric strength grants 15% more attack damage, increased to 30% when Sated. Sense Vitae: Activate a living target while sneaking to learn its attributes and resistances. Eyes of the Moon: Your Vampire's Seduction power can affect targets up to 50 levels higher. Tooth and Claw: Your attacks deal 25% more damage to targets affected by a Hemomancy spell such as Blood Seed. Mytherceria: Day passes 20% faster and night passes 30% slower. Masquerade: You are no longer hated and feared when Blood Starved. Daywalker: You are immune to non-lethal Sunlight. Draining a sleeping victim may teach you arcane secrets of the blood, in the form of 7 Hemomancy spells. The first spell requires 1 draining, increasing by 1 for each consecutive secret. Hemomancy spells are classified as Destruction and deal magic damage to living and undead targets. 1 draining - Blood Seed: (Apprentice) Jagged bone shards grow in a living or undead target, dealing 6 magic damage for 10 seconds. 3 drainings - Blood Brand: (Adept) Living or undead target takes 5 magic damage per second. After 10 seconds, detonates for 100 damage. 6 drainings - Blood Garden: (Adept) Casts Blood Seed on all targets, inflicting 10 magic damage for 10 seconds. 10 drainings - Blood Scourge: (Expert) Living or undead target takes 20 magic damage for 15 seconds. On death, spreads to all nearby targets. 15 drainings - Blood Ankh: (Expert) Hexes the corpse of a living or undead being, causing it to levitate and explode for 200 magic damage. 21 drainings - Profaned Sun: (Master) Flaming star that follows the target for 20 seconds, dealing 25 magic and fire damage to living targets near it. 28 drainings - Borrowed Time: (Master) Deals 5 magic damage for 20 seconds to the living or undead. When time runs out, deals damage equal to all Health lost by the target during this time. Create the following potions at a cooking pot. Potion of Embracing: Vampire Dust + Flawless Ruby - Grants Vampirism. Heals vampires 100 points. Potion of Thirst: Vampire Dust + Void Salts - Increases Vampiric thirst. Vampires heal 100 points of Health. Vampire hunters and their enigmatic leader are not yet implemented, but will be added in an upcoming update. Vampire Lord gameplay has been significantly upgraded in both melee and magic form. To promote interactivity, Vampire Lords do not regenerate Magicka in magic form or Stamina in melee form, encouraging them to switch often, and new perks increase the power level and variety of both forms. 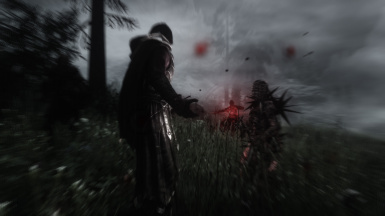 In general, the Vampire Lord excels at dealing with large numbers of enemies, starting out with an area effect spell and having access to several perks to further improve their ability to dispatch crowds, including spells to pull them together and stun them while dealing cleave damage. Additionally, Vampire Lords can now loot bodies, use objects and gain Destruction experience. However, everyone who is not a Volkihar vampire will attack you as an enemy. Royal Bloodline: Vampire Lords gain 25 (level 5) to 250 (level 50) points of Health, Magicka and Stamina, 0 (level 5) to 45 (level 50) points of attack damage and 75 (level 5) to 300 (level 50) points of armor. Fall From Grace: Vampire Lords are immune to fall damage. Stagger Attack: Attacks in melee form stagger most targets. Weakness to Sunlight: Health, Magicka, and Stamina do not recover while in Sunlight and are reduced by 100 points. 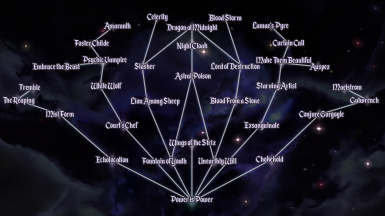 Vampire Lords receive the following spells and powers. Raze: Spell - Cast a wave of blood that cuts through targets in a line, absorbing 15 (level 5) to 25 (level 50) Health and dealing 50 (level 5) to 150 (level 50) additional magic damage. Lord's Servant: Spell - Reanimate a level 25 (level 5) to 50 (level 50) corpse for 60 seconds. Power is Power: All attributes (Health, Magicka, Stamina) are increased by 50 points as Vampire Lord. Choose an attribute to further increase by 100 points. Wings of the Strix: In magic mode, sprinting allows you to glide, greatly reducing fall speed. Astral Poison: Attacks in melee form deliver an unnatural toxin, dealing 25 points of poison damage and absorbing 50 points of Magicka over 5 seconds. Night Cloak: In combat, you are surrounded by a cloud of bats that feed on living enemies within melee range, absorbing 5 points of Health per second from each. Dragon at Midnight: You gain 4 perk points to spend in your other perk trees. However, when you are Blood Starved, contact with Sunlight will instantly destroy you! Court's Chef: Able to create Blood Potions at a cooking pot. Using Human Flesh yields 1 Blood Potion and using a Human Heart yields 2 Blood Potions. Additionally, consuming a Blood Potion advances Vampire Lord perks. White Wolf: Your Vampire's Seduction power now works on targets 15 levels higher and you may Drain people under its effect regardless of how thirsty you are. Additionally, Draining a sleeping or seduced victim advances Vampire Lord perks. Psychic Vampire: Feeding on victims depletes their Magicka and Stamina and increases the effectiveness of Dominate and Still Heart against them to 200% for 30 seconds. Embrace the Beast: You are stronger when Blood Starved: you deal 25% more attack damage, Flaywind lasts 100% longer and Vampiric Drain deals 50% more damage and has 15% chance per second to cast a Flaywind on humanoid targets for 5 points of magic damage for 10 seconds. Foster Childe: Able to Embrace a sleeping victim when feeding, turning them into a vampire who will fight for you and making them a lover, potential follower and marriage partner. Amaranth: Vampire's Seduction works on vampires. Able to Drain humanoid vampires to disintegrate them and absorb their power. Your reward for this depraved act is a 30% bonus to combat and social skills while weaker vampires flee from you, for 5 minutes. Fountain of Youth: Killing a person with a power attack bite in melee form restores all your Health and 150 Magicka. Lion Among Sheep: In magic form, damaging targets with the Raze spell in your right hand reduces their attack damage by 10% for 10 seconds. In melee form, you deal 10% extra attack damage for each target affected. Slasher: Power attacks in melee form deal 50% more damage and hit all targets in front of you. Celerity: Able to move at unnatural speed. Movement speed increased by 10% in mortal and magic form and 20% in melee form. Unearthly Will: Blood Magic, Night Powers, the Raze spell in your right hand and Hemomancy in mortal form cost 25% less. The Vampiric Drain spell in mortal form costs 50% less. Blood From a Stone - Blood Magic, the Raze spell in your right hand and Hemomancy in mortal form can now damage Daedra and automatons. Lord of Destruction - The Raze spell in your right hand deals 0.5% more damage per level of Destruction. Blood Storm - Permanently upgrades the Raze spell in your right hand to Blood Storm. Concentrate to cast a barrage of exploding blood spheres that absorb 25 points of Health and deal 150 points of magic damage. Exsanguinate: Your Vampiric Drain spell in mortal form deals 50% more damage when fighting only one enemy, and can be dual cast for a chance to stagger enemies. Starving Artist: In mortal form, Hemomancy spells used against people absorb Health equal to 25% of their base damage (dealing that much extra damage and healing the caster for the same amount). Killing people with Hemomancy spells advances your Vampire Lord perks. Make Them Beautiful: In mortal form, Hemomancy spells used against people have 25% chance to tear apart victims below 25% Health, instantly killing them. Auspex: In mortal form, your supernatural senses warn you of the presence of enemies within 200 feet, briefly illuminating them through walls. Enemies can only be illuminated once and enemies that are too close are not detected. To install: Add the mod to your load order and activate it. Note that existing abilities that are active on your character cannot be modified, which may result in some abilities being incorrect or "stuck on your character". Ideally, you want to install the mod before you contract vampirism to avoid this issue, but this is not strictly necessary and the mod will be functional even if you don't. If you encounter this issue, open the console and type player.setrace [Your]Race (for instance HighElfRace). Then leave the console for a few seconds and type player.setrace [Your]RaceVampire. This will fix most issues. 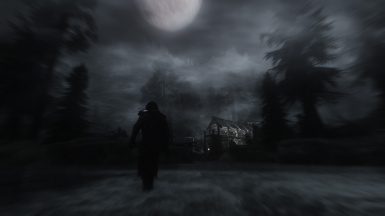 To uninstall: Just remove the mod, ideally when you are not a vampire. To upgrade from versions before 5.00 to 5.00 or later: Ideally, you should not be a vampire. If you must, make sure you are Sated, then feed after upgrading. I receive an error message stating that some scripts have been modified by another mod: You have either a mod loaded below Sacrosanct that modifies PlayerVampireQuestScript and/or DLC1PlayerVampireChangeScript; a local copy of those scripts in your data\scripts folder (possibly left behind by a mod); or an outdated compatibility patch. 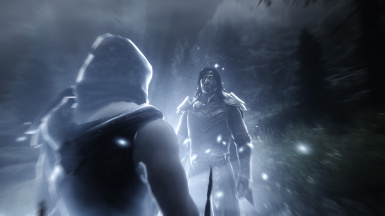 Better Vampires: If you are using Better Vampires and its Sacrosanct compatibility patch, this message is expected because Better Vampires removes most mortal form features from Sacrosanct and replaces them with its own, so the error is correctly telling you that Sacrosanct content has been replaced. It can be ignored, unless you want those features, of course. I don't have the Blue Blood quest or various other mortal form features: If you are using Better Vampires and its Sacrosanct compatibility patch, it replaces Sacrosanct's mortal form progression with its own and just gives you all the spells and powers at once, resulting in the loss of many abilities, the Blue Blood questline, and breaking several perks. I just died for no reason! Weakness to Sunlight reduces Health by up to 100 points when Blood Starved, killing you if you never put any points into Health. Alternatively, Wassail applies a stacking 10 point penalty to all attributes, potentially reducing Health to zero. Alternatively, due to a quirk with the Vampire Lord, its Weakness to Sunlight will activate before the Health bonus from Royal Bloodline upon transforming, killing players with 100 or less Health. When I gain The Beast, the Drain option is missing: You can't Drain essential actors (= unkillable for quest purposes). In versions before 5.00, the Drain option was removed for those actors, causing some confusion. 5.00 allows you to Drain regardless but displays a message indicating that the target is invalid. Alternatively, if you are using version 4.00, there was a bug in this version that has been fixed in 4.01 and later. Alternatively, you can't Drain actors that are essential (= unkillable for quest purposes) and the option to Drain is absent in versions before 5.00. Alternatively, if you are using Better Vampires and its Sacrosanct compatibility patch, it replaces Sacrosanct feeding with Better Vampires feeding, which does not have a Drain option. Perk descriptions are truncated on 4:3 aspect ratio monitors: This is a limitation of Skyrim. Use the Extended UI mod. My abilities, perks or powers are wrong or not as advertised: You have another mod loaded below Sacrosanct that modifies this content. Load it above Sacrosanct. Alternatively, this can be caused by applying this mod to an existing savegame: see above under "Installation". 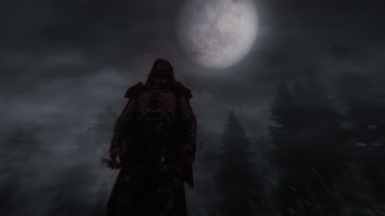 Alternatively, some mods will add their own vampire related features, overriding Sacrosanct. See the "Compatibility notes".